By Albert Cameron – Complete Devastation MMA (CDMMA) was supposed to hold their twelfth installment of the Altoona born fight series. Due to one unfortunate circumstance or another, the Pennsylvania State Athletic Commission (PSAC) had decided to pull the plug on the event and for the first time in Logan Valley history, a professional – amateur MMA fight card had been cancelled. A fight card getting the death sentence isn’t the worst thing in the world of combat sports; in fact, PSAC puts such regulations in place for the protection of the fighters and the fight fans. If a fight card wasn’t coming together in a way that was conducive to everyone getting the best possible outcome, they will pull the card without thinking twice. The black-eye from CDMMA 12 getting cancelled was the public outcry and the resulting reaction. Fighters, coaches and fight fans alike took to social media and let their voices be heard about how they’d felt slighted about the situation. The promoter did take an opportunity to voice their side of the situation; they spelled out that the card was pulled and that they couldn’t make fighters get their necessary paperwork submitted. The fighters, their coaches and the publics made even more of an outcry. On the facebook event for the CDMMA 12 card, a question was prompted: would CDMMA be putting on another event any time soon? The promoters responded with a negative, citing the loss of money that they’ve experienced with the latest card being cancelled. Let’s keep an objective eye on this; the promotion just said that there wouldn’t be an event any time soon, not that the promotion was closing. 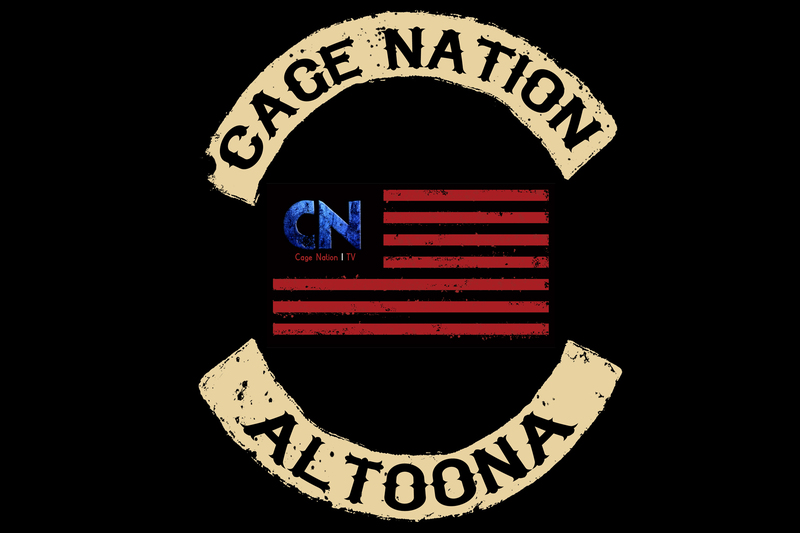 Despite the pseudo-rosey outlook on the future of CDMMA, we do need to acknowledge that CDMMA is the only fight promotion in Altoona and it would appear that respect is the only thing that was keeping the other promotions out of the Logan Valley. With CDMMA taking an extended hiatus, or possibly closing entirely, Altoona is prime real estate for larger promotions from bigger areas to grab the city up in something of a turf war. Before CDMMA was under the latest entity of ownership, Altoona and Johnstown had something of a turf war as well. When PSAC decidedto sanction the sport in the state, Iron Will Fighting Championship (IWFC), Valley Fight League (VFL), and CDMMA had all put on events in the area. Iron Will struck the hot iron first, VFL and CDMMA were close to follow. IRFC ended up folding under the rigors of promotion, VFL had a nuclear disaster in Altoona and has yet to return to Broad Avenue (the Jaffa Mosque, the venue of choice for VFL) and the only company left standing was CDMMA, under the ownership of Go Time Promotions. The value in the promotions purchase was a brand that had been established and a fight legacy that has included Darryl “the Saint” Horcher head kicking his way to Bellator, Corey “The Real Deal” Hill securing a submission victory that nearly tore the Blair County Convention Center down and other names that have gone on to bigger cards. The big names and the names that would become big weren’t the real charm of CDMMA, it was the local guys that the fans loved. The real strength of CDMMA was Charlie “The Madman” Gathers doing jumping jacks on his way to winning an amateur championship (with onset pneumonia), Levi McCord getting slammed on the cage floor so hard that his spine broke the cage floor, and being introduced to an Ethan Goss in the opening bout of a tremendous card. It’s the local battles that the city of Altoona came out for; it’s the locals of Altoona that make the Logan Valley a target for larger promotions and frankly, Altoona deserves it. There are a couple of different outcomes that are likely realities. The first scenario is that Altoona becomes annexed by a larger promotion. During the outcry from the CDMMA 12 cancellation, a lot of local personalities in the fight game were alerting promoters that they have worked for. Gladiators of the Cage (GOTC), Pinnacle Fighting Championships (Pinnacle FC) were two of the larger promotions that were called for. At current, GOTC and Pinnacle FC have a great coexistence and could very well share Altoona, PA. If the Pittsburgh MMA powerhouses decided to do so, the combination of their presences could stonewall everyone out. Altoona is close enough to Pittsburgh to be annexed into their circuit. I need to be clear that neither GOTC or Pinnacle FC have expressed any official interest into invading Altoona. The second possible outcome is that a new upstart promotion would start in Altoona. I have been involved in the Altoona fight circuit long enough to know that Altoona can support a fight league and a fight circuit. What made Altoona such an integral part of the Pennsylvania fight scene was that CDMMA was able to churn out talent and develop them into being ready for larger promotions. CDMMA was the last destination for Darryl Horcher before Bellator signed him, for Jeff Smith and Jordan Rinaldi before fighting to get into the Ultimate Fighter house and so on. Altoona really needs a fight promotion to keep the city relevant to the fight community. In the Logan Valley are a plethora of men and women who know the fight game and have business acumen. Enough of them could get together and put together a new product and stake Altoona as their own claim. Yet another avenue of outcomes is the possibility that CDMMA rallies and comes back bigger and better than ever. The local community is unhappy now and a lot of feelings are still running high, but CDMMA has given us a lot of great Altoona memories over the year that it really would be a loss if the promotion were to fold. The promotion doesn’t have any plans of coming back now, but promoters could be planning on the comeback and it could be everything that we want it to be. Regardless of how this plays out, it’s important for us all to support Altoona in any way that we can. The dark ages of MMA were not that long ago (eight years if anyone is counting) and we still need to be in the frame of mind that our fight community needs to be cultivated and protected. I firmly believe that Altoona has the potential for great fights to come, to add to the history that has been. Previous Previous post: OPINION: Could Mark Cherico Retire GOTC Champion?